Remember: The scalp is still skin that needs the same care as any other part of the body! Summer's going full-blast and everyone's endless beach posts are giving you a bad case of FOMO. How can you not join the party out there and soak up all the sunshine, right? Sadly, the same Vitamin D-releasing sunlight proven to have mood-boosting effects from the happy hormones they bring on also has a downside: It can wreak havoc on our hair and scalp. Dryness, frizziness, color fading, and sun damage worsened by coloring and heat-styling are some of the problems encountered and studied at the L'Oreal Hair Academie, says education manager Annadel de Leon. It got me thinking: After having gone on a total of six trips to the beach thus far in the year, not to mention spending a weekend walking hatless under the sun all day in Bataan and a Holy Week voyage to scorching-hot India, I somehow sensed that my once bouncy, fairly-problem-free hair seemed dry, stiff and prone to hard-to-manage flyaways; my scalp seemed kind of itchy, too. So I sought enlightenment at the Academie. First, De Leon examined my hair and scalp up-close using a Kerastase Profiler camera with a magnification of X500. The verdict: I have slightly damaged hair, with dry and dull fibers. 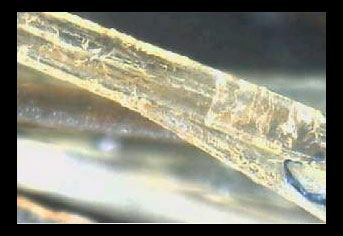 In the photo, you can see yellow dots or holes along the middle of the hair shaft, indicating the beginnings of damage. To give you an idea of how much processing my hair is subjected to: I have premature grey hairs touched up every three weeks or so, and get a blow-dry about twice a month. It's a not-too-shabby treatment, in my opinion, except that I sometimes don't use conditioner when in a rush. I was alarmed, though, when she told me that the new and younger batch of hairs growing on my head are not as thick as the old ones—aka, the start of thinning hair! In the photo you can see how the hair has been stripped of its original healthy color and condition. The middle part is now hollow with small cracks—this means that the cortex has been destroyed or fractured. I whispered to De Leon, "So she really shouldn't go out in the sun or blow-dry anymore! Maybe she should just cut it all off!" 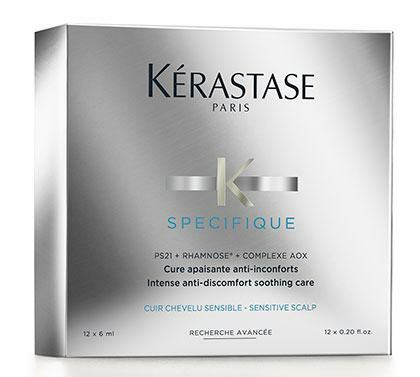 De Leon replied, "Of course she can, that's the power of Therapiste," showing me the range of Kerastase products said to "deeply repair the hair fiber at its core so it gains its strength and elasticity." She gushed, "It gives your hair a second life! I promise, it's so effective. No need to cut it off! Our hair grows only 1 cm a month. It's going to take a long time to grow it!" Next, De Leon examined my scalp, which she declared "dry and sensitive." I wasn't surprised because I also have sensitive skin on my face, but I was shocked upon seeing big red blotches and scratches in the photo. "The brown parts show that your scalp is dry, and the redness (caused by scratching, sensitivity to hair color, or irritation to the sun) signifies that scalp is sensitive," she concluded. 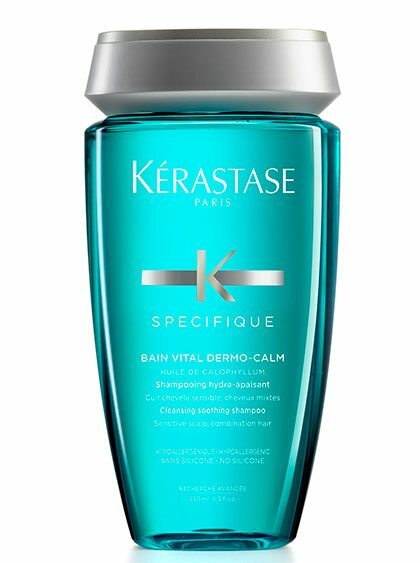 She recommended I switch to a hypoallergenic shampoo like Kerastase Bain Vital Dermo Calm to remove impurities and relieve itching, inflammation, and irritation, and to take the Cure Apaisante four-week treatment to improve my scalp’s condition. She also suggested Masquintense to nourish my dry hair (her tip: Towel-dry hair after shampooing to get rid of excess water before applying the mask so it can coat the hair more effectively.) Fluide OleoRelax would help give shine and smoothness to my dry, tikwas hair. 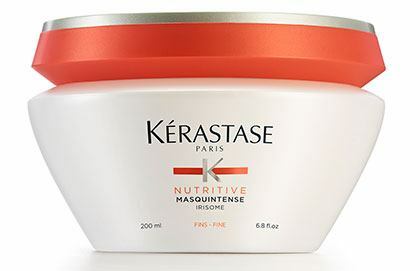 Kerastase's vast range of specialty products is actually targeted towards addressing the gamut of hair problems: For dry hair, there's the Irisome range. For frizzy, hard-to-manage unruly hair, there's the Discipline range with Morpho-Keratin Complex technology providing anti-frizz action and "weightless move in-motion." Fading color can be addressed by the Chroma Captive range, which has zinc gluconate to help prolong hair color and intensify shine. 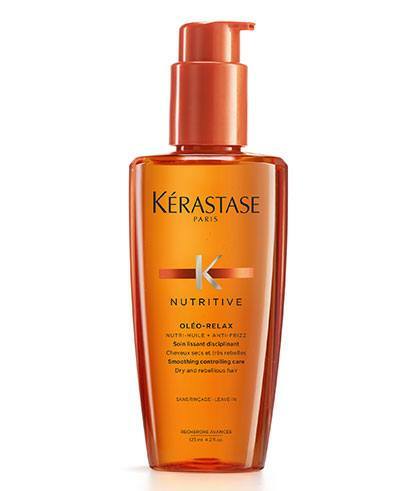 For chlorine-damaged hair, try Therapiste. Dull, devitalized hair can benefit from Aura Botanica, with 96% Natural Origin ingredients, hand-pressed Samoan coconut and Moroccan Argan oils, and no silicones, sulfates, or parabens. Still bothered by the state of my scalp, I consulted doctors from the Philippine Dermatological Society as well as my dermatologist Dr. Jay Nuñez about it. 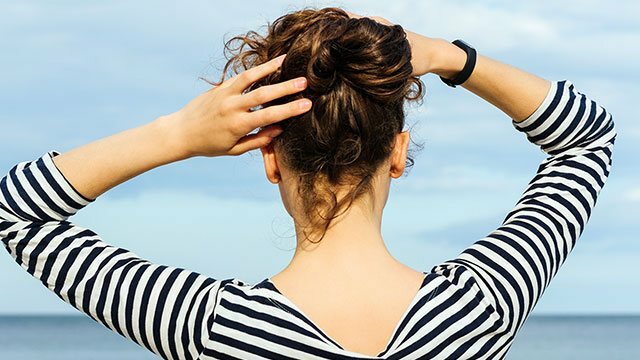 During the summer, says dermatologist Dr. Roni Estrella, "We usually see a lot of patients having flare-ups of seborrheic dermatitis, characterized by an itchy flaking scalp." Dr. Nuñez says, "The heat of summer triggers increased oil production, causing the scalp to itch, flake, peel, and turn red. The scalp can range from dry to moist depending on stage of dermatitis that follows. This condition may even extend to areas behind the ears, nape, and sometimes beyond the forehead, hairline, and both eyebrows." I Googled photos of these—not pretty. "Severe forms can even lead to falling hair," adds Dr Gigi Lavadia. Dr. Estrella recommends "frequent shampooing (twice a day), and an anti-inflammatory scalp solution if warranted." Dr. Nuñez suggests "a topical steroid lotion or cream and an effective anti-dandruff shampoo." Dr. Nuñez treats cases of scalp sunburn, too—usually when the scalp has not been protected well by sunscreen or a hat. He recommends a mild topical corticosteroid cream like hydrocortisone, as well as a mild shampoo (with no harsh ingredients) and a good conditioner. Pimple-like lesions on the scalp indicate folliculitis, an infection of the hair's roots, usually due to excess sweating, which makes the scalp conducive for bacterial growth. "If a wide area is involved, we sometimes prescribe systemic oral antibiotics," he says. 1. Use a mild shampoo and always use conditioner. 2. Avoid prolonged sun exposure and prolonged chemical exposure chlorine in pools. 3. Avoid prolonged hair treatments and exposure to harsh chemicals in products used in the salon or styling with heat. 4. Rinse hair well after a swim. 5. Use a protective hat or swim cap. 6. Apply a good sunscreen on the scalp to protect against sunburn. 7. Drink plenty fluids. Adequate hydration means healthier scalp conditions. De Leon believes you can still frolic in the sun in all your blow-dried and highlighted glory if you use cutting-edge serums and masques such as Kerastase's Thermique range with Glacage Thermo-seal technology to protect your hair from heat up to 180°C. "Before going out in the sun, coat your hair with the serum appropriate for your hair type,” she advises. She tells me that during a recent diving trip, she applied Serum Therapiste on her hair before plunging into the sea, and swears that she emerged later on with smooth, tangle-free, silky hair! The dermatologists were divided about using natural oils to treat hair. "They serve as moisturizers, basically. Coconut oil has been extensively studied to have a natural nourishing and restoring effect on the skin and hair, and has anti-fungal and anti-inflammatory actions as well," says Dr. Lavadia. Based on Dr. Aenelle Dizon's experience, she doesn't advise it: "Sometimes it adds to the oiliness of the scalp, causing dandruff or other scalp problems." Dr. Nuñez says, "As long as the person is not sensitive or allergic, coconut or Argan oil may be used to re-moisturize a dry scalp or even damaged hair. Mix with a little water, and apply directly on the hair or spritz it on.” I did find an October 2016 "Update on Argan oil" article by Dr. Leslie Baumann in Dermatology News, but findings were still non-conclusive: "Although clinical research data on Argan oil ['touted for hydrating and revitalizing the skin, treating acne, and imparting shine to the hair’] are limited, its traditional uses and inclusion in novel cosmetic products suggest that further study is warranted." On the matter of split ends, Dr. Dizon says, “medically we cannot treat split ends. The usual advise we give is to trim the split ends, then do deep conditioning or apply a hair mask or serum to prevent the split ends from further reaching the hair shaft and prevent further damage." She adds, "oral supplements containing Biotin helps, too." The shock of seeing my scary scalp selfie has definitely motivated me to treat it with more TLC. That's where it all begins, apparently. 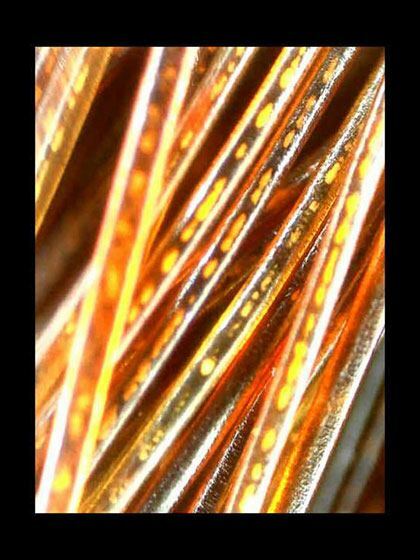 Dr. Nuñez says, "The scalp is still skin that needs the same care as any other part of the body. A healthy scalp means healthy hair roots, which produces better hair quality." De Leon concurs. "Usually we don't really take care of our scalp because we don't really see its condition, but it is actually four times more sensitive than the skin on our body! That's why we need to make time for a sensible regimen using the right cleansers, serums, and oils to protect our hair and scalp from all the external aggressors." 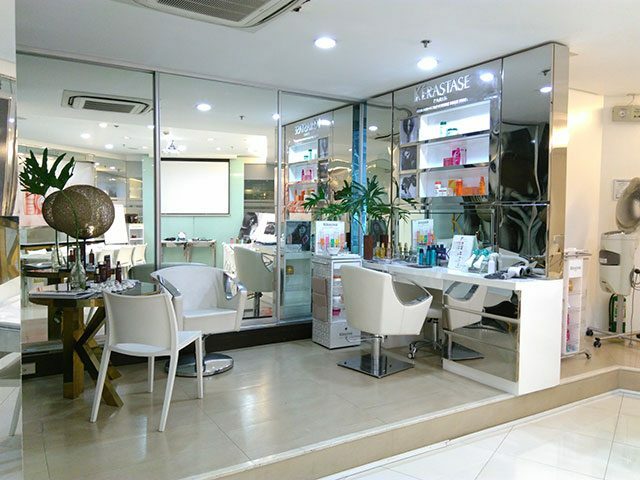 The L’Oreal Academie in Pasig is geared mainly for stylist training, but you can visit any of the following for hair and scalp consultation and treatment: Kerastase Institute at 6750 Ayala, Emphasis Salon, Basement Salon SM Aura, Essensuals Salon Trinoma and SM Megamall.